Info:This cap has a blank back. On the front it appears to say "Corporat Stat", but the text goes off the edge of the cap. 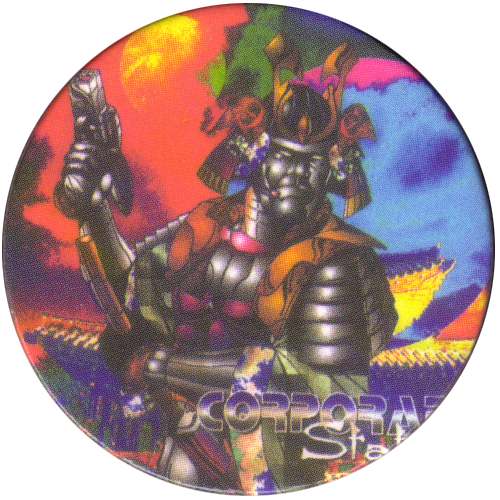 The image shows a metal samurai with a futuristic gun. The background has a traditional Japanese building and sky in strange bright colours.